There is an increasing trend of using bio-polyethylene and bio-polypropylene in Europe for making consumer goods. However there is currently very limited production capacity available for producing these base chemicals that are used in the polymerization processes. 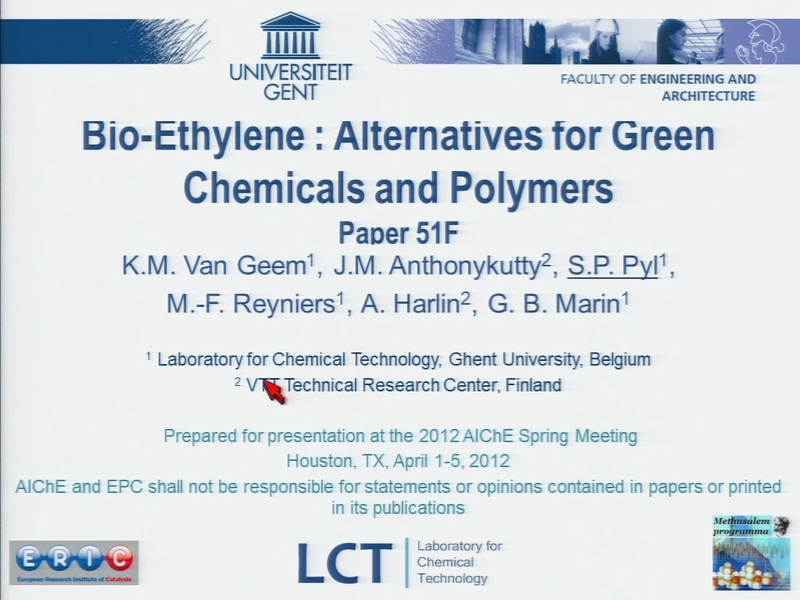 This contribution will give an overview of the presently available routes for the production of bio-ethylene and bio-propylene (bio-ethanol to olefins, methanol to olefins, hydrodeoxygenation of biomass followed by steam cracking, fast pyrolysis of biomass) and discuss advantages and disadvantages. The talk will be completed with results obtained from different pilot plant studies starting from tall-oil and waste fats and greases. In a first step these feedstocks are catalytically converted, in a second step they are cracked towards olefins. The total light olefin yield (ethylene and propylene) that has been obtained is in all cases higher than with naphtha and is above 50 wt% depending on process conditions, pretreatment and the biomass origin.